The Dubliner, who finishes with 21-4 record, said on his Twitter account this morning that he had decided to call it a day and wished his former colleagues well. McGregor had previously announced he was retiring in 2016, but later returned to the sport. The 30-year-old returned to the octagon last October after a hiatus of nearly two years where he fought Khabib Nurmagomedov for the lightweight belt. 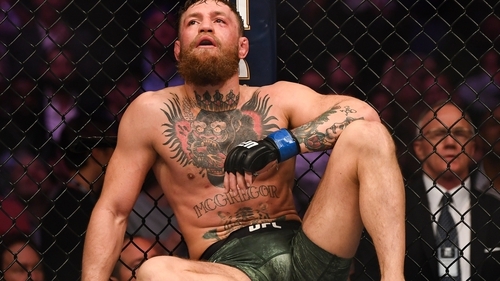 The Russian retained his UFC lightweight title when he beat McGregor with a fourth-round submission, but the event was marred by a post-fight brawl, which led to both fighters being fined and suspended. This morning, McGregor posted Twitter: "Hey guys quick announcement, I've decided to retire from the sport formally known as "Mixed Martial Art" today. A month after losing to Nate Diaz in March 2016, he said he had decided to "retire young", but returned to fight and beat the same opponent later that same year. UFC President Dana White said he believed McGregor's latest retirement announcement was genuine and said the Irishman had accomplished "incredible things in the sport". Hey guys quick announcement, I’ve decided to retire from the sport formally known as "Mixed Martial Art" today. The Crumlin native was an apprentice plumber before making his professional MMA debut as a 19-year-old in 2008. After winning the featherweight and lightweight belts with the Cage Warriors organisation, McGregor signed with the UFC in 2013 and quickly become one of their biggest stars, winning performance of the night three times in succession after defeating Diego Brandao, Dustin Poirier and Chad Mendes. A loss to Diaz at UFC 196 in his welterweight debut was his first in UFC and halted a 15-fight winning streak but he won a rematch five months later. 'The Money Fight' was a lucrative affair, with more than 1m pay per view buyers in the UK and 4m in the United States, with the American defeating his opponent in the 10th round by TKO. McGregor had also attracted attention for his behaviour outside the octagon. Earlier this month, he was arrested and charged with robbery and criminal damage in Miami after allegedly smashing a fan's phone. He had just completed five days of community service as part of a sentence for throwing a metal hand cart at a bus carrying UFC fighters at an event in Brooklyn in April 2018.